After reading A Long Walk to Water and researching the significance of water in our daily lives, we have all agreed that water is life. 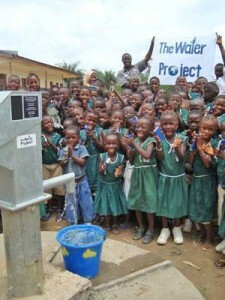 Without a clean, sustainable supply of water, people cannot live to their fullest potential. 02/17/17 Anonymous $40.00 From Alex Signorelli. Great cause! 02/15/17 Lisa Olsen $35.29 Thank you for continuing to provide awareness and support for such a vital issue. Water is life. 01/11/17 Skylar Wicklund $34.00 Working together for water!